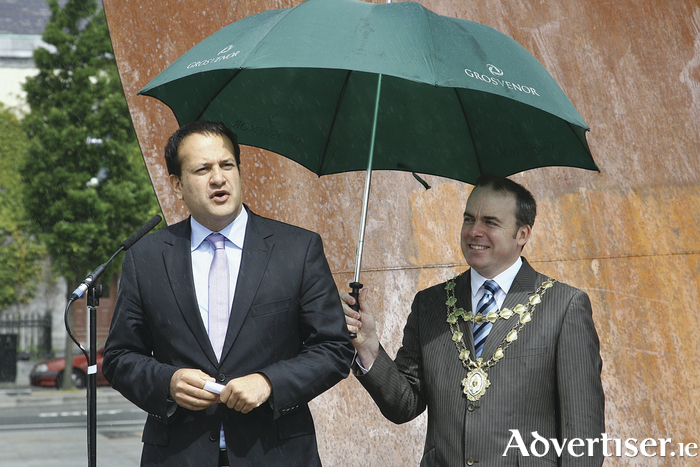 Advertiser.ie - Galway - welcome to Varadkar country? Galway East TD Ciaran Cannon is also backing Varadkar - his Twitter profile features a picture of him with the Dublin TD - while city councillors Padraic Conneely and Pearce Flannery are also Varadkar supporters. Of the county councillors, Niamh Byrne, Peter Feeney, Aidan Donohue, Michael Finnerty, Jimmy McClearn, Peter Roche, and Joe Byrne, are also backing him. According to party insiders, the mood among the membership is the same. "It is my belief the majority of party membership in the constituency are in the Leo camp," an FG source told the Galway Advertiser this week. More significantly, Dep Kyne is the longer established TD, a junior minister, and unquestionably FG’s 'Person in this Town and County', who looks set to become the FG standard bearer in the coming elections, and the one most feel is likeliest of the two sitting FG TDs to hold a seat. Therefore, if Varadkar becomes Taoiseach, he will more likely to reward the two term junior minister Kyne, rather than the backbench Naughton, who is not even 18 months in the Dáil.